Kicking off the 2018 Cardiff International Film Festival at USW’s Atrium, a short film about falling in love with your partner-in-crime, and an epic dance-filled romp through late-adolescence in London. As I sit, nervous and glass of red in hand at the opening of the Cardiff International Film Festival, I consider two things. What am I drinking? It really was quite lovely, and more apprehensively, how long is the night going to be? 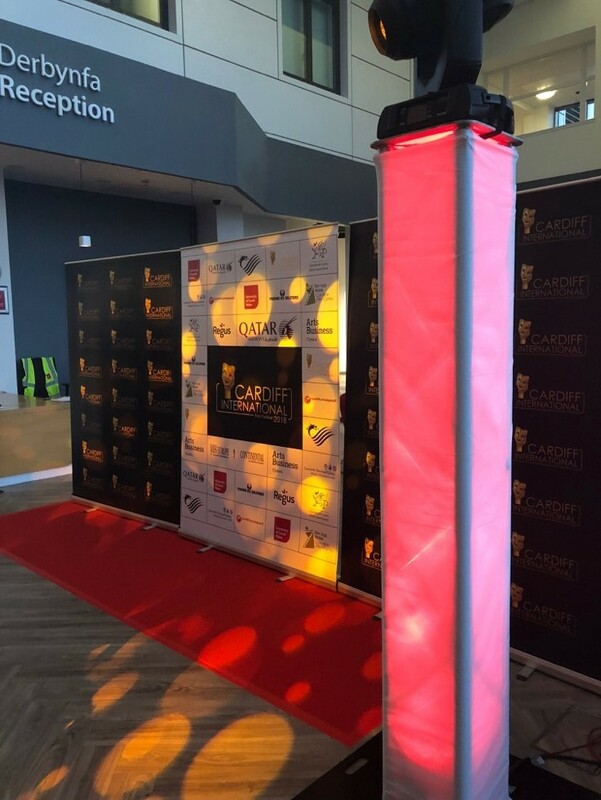 I spend the first part of my evening overlooking the stretch of red carpet, and people having their photos taken, chatting to a man about his journey here. He’s keen to stress to me his portfolio of work and having travelled up from London asks me where’s unsafe in Cardiff. I tell him I wouldn’t really think twice about walking anywhere and that I’ve never felt unsafe. He looks at me with disbelief. His selection of Bollywood songs piques my interest, but sadly after twenty minutes of chatting neither of us parted with our names. Alas. Once we all make our way into the theatre, my night becomes markedly less confusing. Kastrui Marie is our wonderful host for the night. As charismatic as she is seemingly genuine in her applaud for MP Jo Stephen’s description of Cardiff as a city “built and thriving on immigration”. That’s the tone for the night, a celebration of the things we’re now seeing hostility towards socially. Immigration, Women’s rights to safety, just to name a few. Welsh Women’s Aid CEO Eleri Butler, MBE, echoes this sentiment in a moving speech that hammers home the statistics around domestic violence in Wales. The Office for National Statistics suggesting that 1.2 million women and 713,000 men in England and Wales were victims of domestic abuse in 2017. We begin the night’s screenings with a few hiccups. The first film, Andy Morahan’s fabulous comedy adventure ‘Boogie Man’ is to be restarted three times before being replaced with Robert Gregor Greiner’s hilarious ‘Super Glued Up’ – winner for Best Welsh Short Film. ‘Super Glued Up’ follows a young criminal couple, driving around Cardiff in stolen vehicles, gluing their victims down while they steal their valuables. It explores what happens when business and pleasure are mixed, and the frustration of unrequited love. I found myself trying to decode every exterior short to work out where it was filmed. Once English Feature Film Winner ‘Boogie Man’ is started and restarted a few more times to correct problems with its audio track – and the audience members who’d walked out return again – it hits a fast-paced stride. Following 17 year-old Phavan through an excavation of grief and familial resentment. It’s warm, funny, and manages to tackle important ideas of tradition and integration for Indian families in today’s London. Perhaps surprisingly, the film’s most natural performance was that JLS’s Aston Merrygold. It does awkward British adolescence well and never loses its rhythm. I look forward to seeing how a wider audience responds to the film. Cardiff’s place on the international stage becomes more apparent as the evening’s films progress. Goran Trenchovski’s ‘Golden Five’ wins Best Foreign Language film. A Macedonian mystery thriller of chilling proportions. Rahil Abbas, co-founder of the festival puts it best in his introduction to the festival, “tonight’s films come anywhere from Merthyr to Mexico.” And perhaps that’s why the festival feels so special. Especially while we move through an age of increasing nationalism, it’s important to be reminded of the beauty that arises when we come together on common ground. Even more fitting that it allows Cardiff to open its arms to celebrate and welcome the stunning international contributions. Full details on all of the winning films and venues featured are available on the website: theCiff.co.uk.